A peaceful Forest Cottage experience at sea. Enjoy the tranquillity of trees and ocean combined. 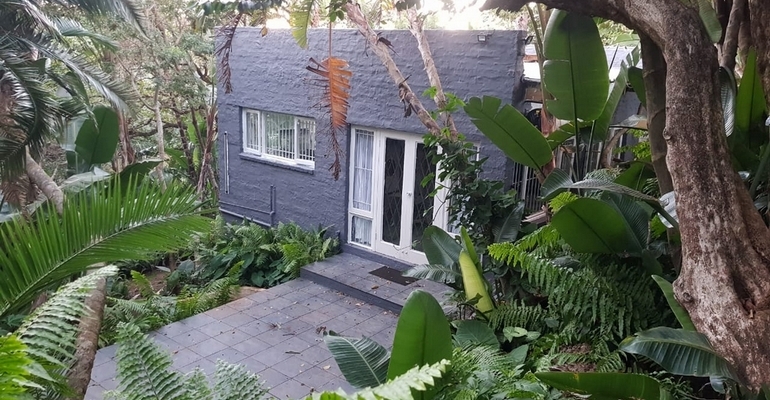 Forest Cottage is a comfortable 2 bedroom, 1 bathroom cottage on a safe and secure property, approximately 800m to the beach. The cottage has a fully equipped kitchen with a gas and electrical stove. The cottage is fully furnished and all linen etc is provided, however you do need to bring your own bath and beach towels. There is a DSTV Connection Point (bring own decoder and smart card) and a washing machine and tumble dryer in the cottage. Ramsgate is ideally situated to take advantage of the numerous activities up and down the coast. The cottage is nicely located to be in close proximity to Margate with its associated nightlife and restaurants, yet with it being outside of Margate you get to miss the hustle and bustle of the busy crowds during the peak holiday periods. All linen is provided except for bath and beach towels.